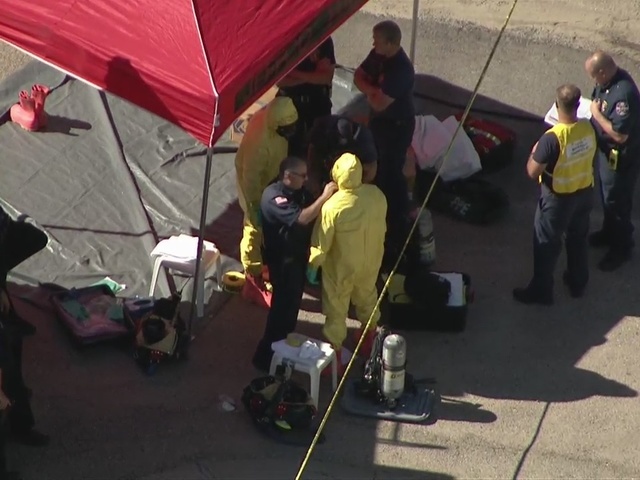 Here in Denver’s Adams County, authorities have descended on two properties because of reports Ricin was allegedly being manufactured. This aerial view shows hazardous materials crews dressed in yellow, protective suits and the placement of tents for their workspace. The Ricin poison can be administered in serveral ways; inhaled, injected or ingested. After an individual is exposed, symptoms emerge only after a variable delay, which can be between a few hours to a full day. There is no antidote. This video lets you see more of the first responder’s activities, and the very serious situation they are investigating.